Order Early! May need time to bring in orchids. 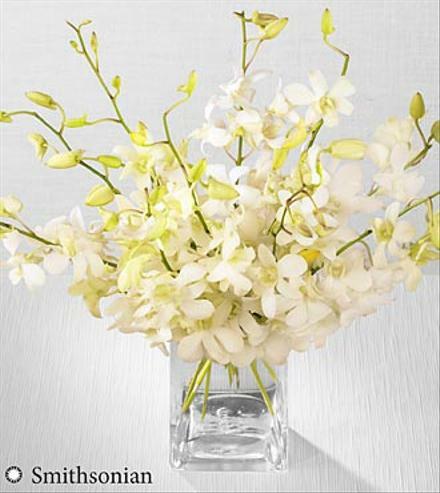 We have created this sophisticated dendrobium orchid flower bouquet known for its serene alabaster white petals. Representing peace and tranquility with its elegant coloring and texture, this 10-stem orchid flower arrangement arrives with a clear glass cubed vase to make the perfect gift for such occasions as an anniversary or engagement, to extend your thanks, or to express your deepest sympathies. White Flowers White Whispers Dendrobium Orchid Bouquet.